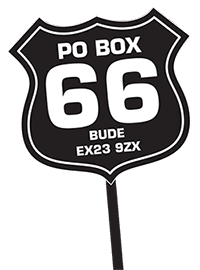 Lest you think we’ve gone completely bonkers in blethering on about a (gasp) car-based publication, we should wave a bit of a banner regarding its motorcycling credentials. TCMR is the latest brainchild of publishing trend-setter Mark Williams – yes, the same MW who brought Bike and Motorcycle International into being, and whose presence has even popped up in RC on rare occasions. TCMR also features other writers who have a penchant for idiosyncratic old clunkers with an indeterminate number of wheels. 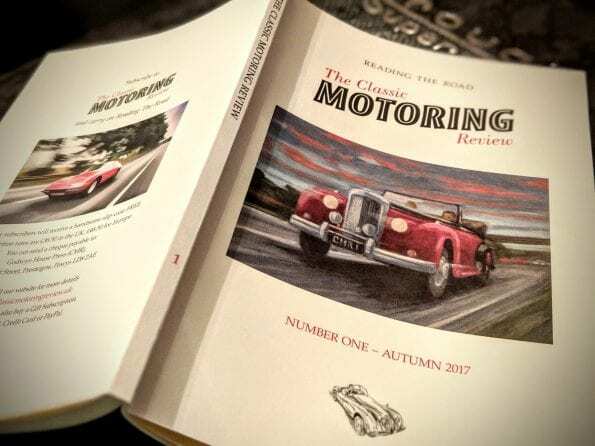 Our very own Frank Westworth penned a piece for last autumn’s first edition, and the just-published second paperback offers a fair few familiar names from the motorcycling world, such as Rod Ker and Matt Vale, alongside industry luminaries like LJK Setright, Gavin Green and Steve Cropley. 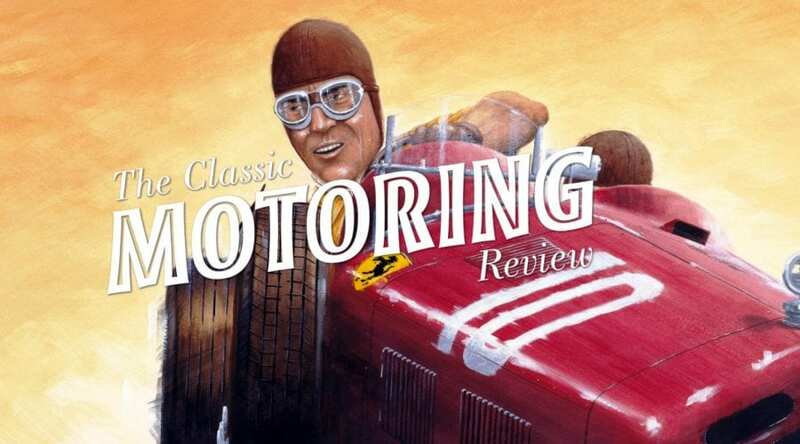 So what is The Classic Motoring Review? Well, it’s not a magazine for a starter. It is a quality quarterly, published as an understated, small softback on gloriously posh, cream-wove paper. Each edition features a dozen or fifteen long-form articles, showcasing the writing talents of authors and enthusiasts who’ve penned thought-provoking pieces that are intended to enlighten, inspire and entertain. It’s an old-school throwback – no photos, no glossy pages, no soundbites or snappy headlines. Instead each volume is intended to be quietly read and gradually digested, building into a collection which you’ll delight in re-visiting over time. 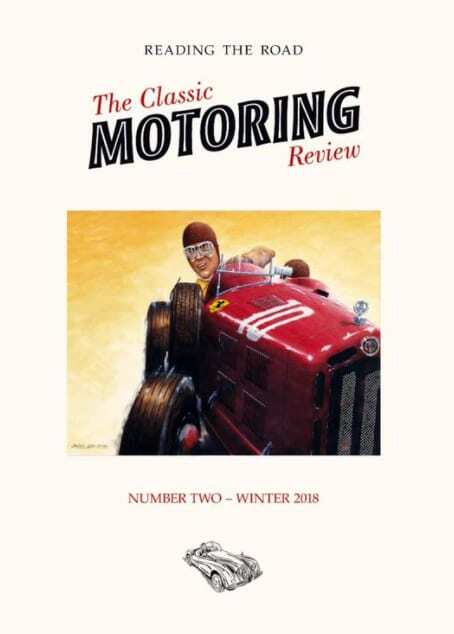 The current edition features in-depth articles about a pioneering adventure in a Daimler; an obsession with Hillman Imps; the legendary engineer-racer Bill Milliken and his assault on Pikes Peak in a Bugatti; Colin Goodwin’s attempt to cross the Channel in an aquatic Ford Fiesta; accolades for the Lamborghini Miura; driving an Austin 1800 across Australia; long-term life with a Morris Minor Traveller; why three friends wouldn’t be without a Citroën 2CV – and many more engrossing articles… even Mark Williams himself extolling the virtues of the last proper Lancia. Each piece of editorial is artfully illustrated by specially commissioned line drawings, so there is something to catch your eye – although it has to be said that this is not a picture book. 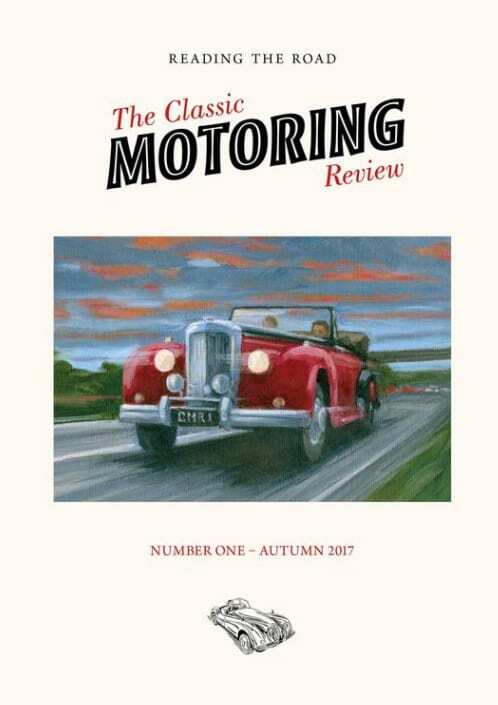 Rather, as the blurb suggests, it is simply great writing about great cars from great writers. TCMR is available on subscription, you can buy individual issues. And here’s the Facebook page.